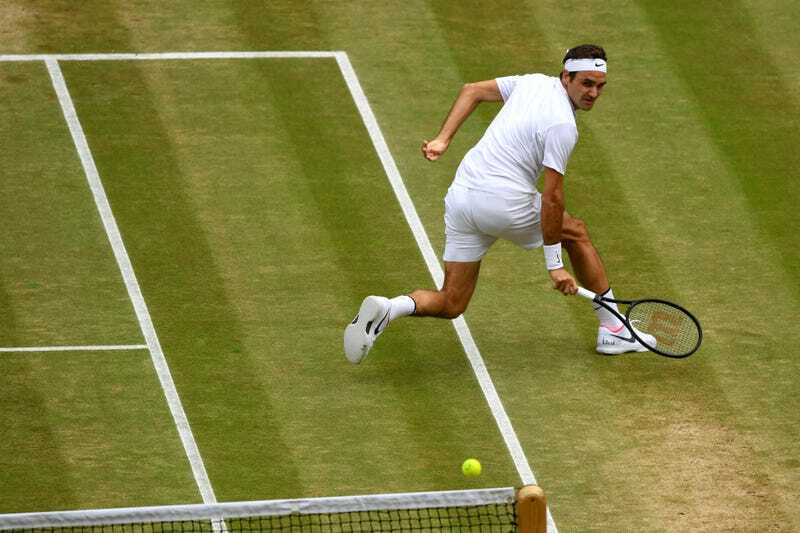 There is nothing else to say about Roger Federer’s Wimbledon that hasn’t already been blogged in gross excess. But fortunately there is a lot to rewatch. Today, YouTuber Raz Ols posted this reel of 19 strange, impressive, and blatantly disrespectful shots Federer hit during a tournament he won without losing a single set. My favorites are either the drop shot off Grigor Dimitrov’s serve (cruel) or the backhand swinging volley out of no-man’s land to pass Mischa Zverev (unusual). Even the notion of “no-man’s land” doesn’t really apply to an ageless alien.